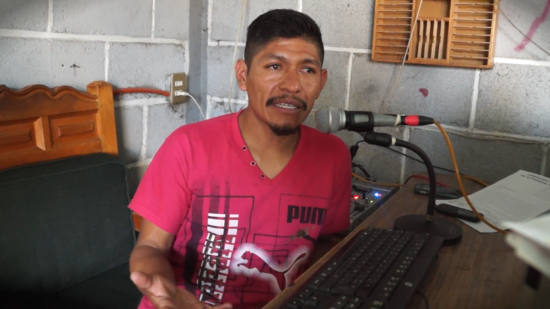 AMARC Europe joins the dismay and outrage of AMARC Mexico, the Front of Peoples in Defense of the Land and Water of Morelos, Puebla, Tlaxcala (FPDTA), the comrades and companions of the Community Radio of Almicingo, Mor., and the relatives and loved ones of SAMIR FLORES SOBERANES, outstanding leader of the FPDTA, founder and Director of Community Radio Amiltzinko 100.7 FM, who was murdered on 21 February 2019. Le FPDTA has declared: « This was a political crime for the defense of human rights that Samir and the FPDTA have launched against the Morelos Comprehensive Project and for the autonomy and self-determination of the peoples. This murder is the result of the omission of the current and previous governments to resolve through the dialogue the conflict that generates the unfeasible Morelos Integral Project and the imposition of the interests of capital over the people’s rights « . López Obrador has condemned the murder of Samir Flores, however, if he continues to reject and stigmatize the struggle of the opponents of the « Integral Morelos Project » and does not carry out an authentic consultation that accurately collects the opinion of the affected communities, it will be generating conditions that can lead to more unfortunate and unpredictable consequences. The President of the Republic must order the investigation that leads to the identification and punishment of the criminals, proceed with a serene and sincere dialogue with the FPDTA, guarantee an authentic consultation on the construction of the Huexca Thermoelectric Plant and protect and guarantee the exercise of the free expression and of human rights defenders.